understand the processes & techniques." "I am a complete novice amongst people with a range of experience and the course catered for all." something for the first time since I was 13!" 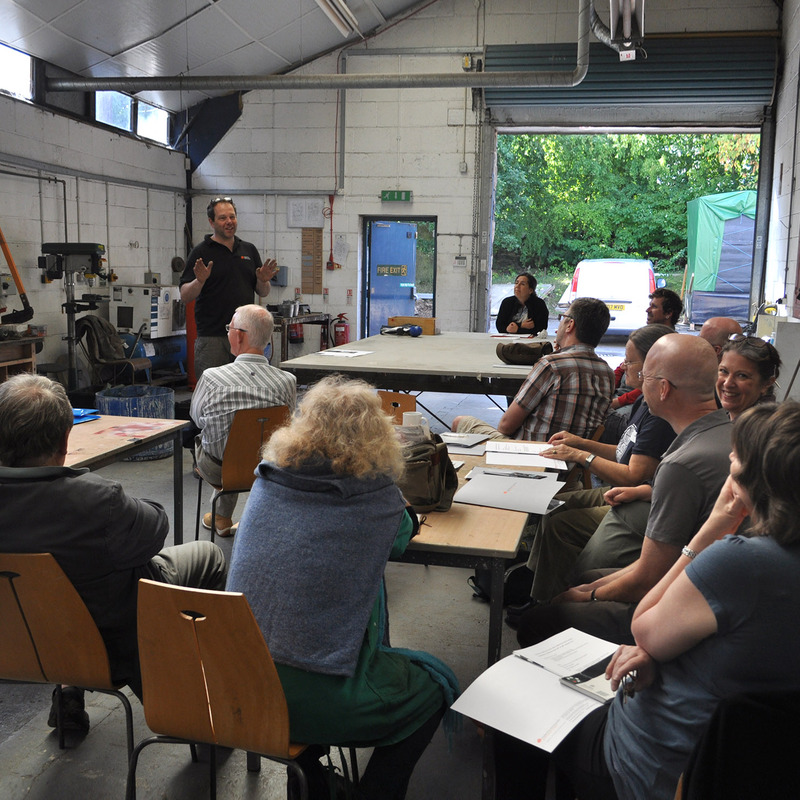 The foundry runs a range of practical hands on courses, which provide the opportunity to learn about the process and cast pieces of your own work. The courses are run in collaboration with other organizations, such as Yorkshire Sculpture Park and at our own studio in Liverpool. This well established course is now in its sixth year at the park. Enjoy five days of creative and practical, hands on training in the inspirational surroundings of the internationally acclaimed sculpture park. Just bring along your ideas and an open mind and we will show you how to create your sculptures directly in wax and take home two hand size bronzes, cast and finished by you. Bronze founder Chris Butler will be your teacher and guide as we explore lost wax casting and work with the ceramic shell process. As director of Castle Fine Arts he has been working with artists for twenty five years. Drawing on a lifetime of bronze casting expertise and know how Chris provides an insight in to the workings of the modern art foundry and shares some of the secrets of this ancient craft. First day is devoted to creating your original sculptures in wax and starts with a introduction to wax as creative material and demonstrations of it's sculptural application. Each piece will be cast directly in ceramic shell, making each one totally unique. Day two we work on the sculptures in the morning and in the afternoon we start the casting process. You will learn about runners and risers, and prepare the wax for the casting process. Later we'll start to make the shells. Day three is shell making with time to enjoy a walk in the park. Chris will talk about the casting of sculpture in front of large works cast by Castle Fine Arts. Day four we turn up the heat as we de-wax and fire the shells in the kiln. In the afternoon we light up the furnace to melt and pour the bronze. Final day is devoted to metal work, using power and hand tools to finish the pieces. Finally, we complete the course colouring the bronzes with traditional chemical patination techniques.